Sometimes, when you publish your HTML from the editor, it is impossible to use local inserted images, because the published HTML might be hosted in a different environment. 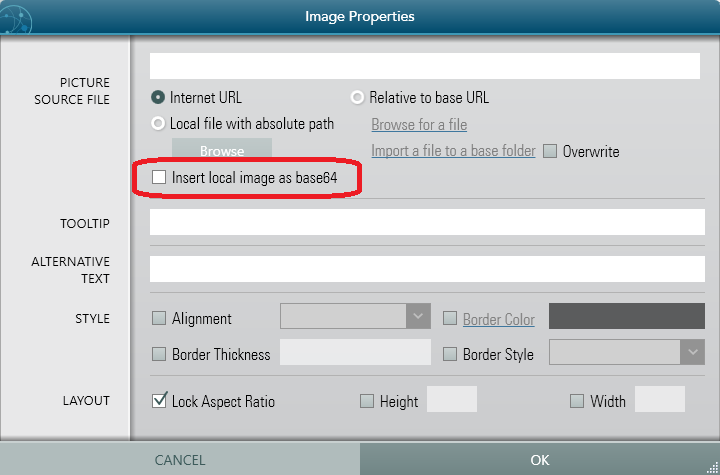 In order to keep your inserted images, you can embed them using Base64 Data URI. One very important note : If you plan to create Email Message from the HTML content from this Editor where the HTML contains Base64 image, you should follow the instruction given in the page on Email Message Image Embedding. 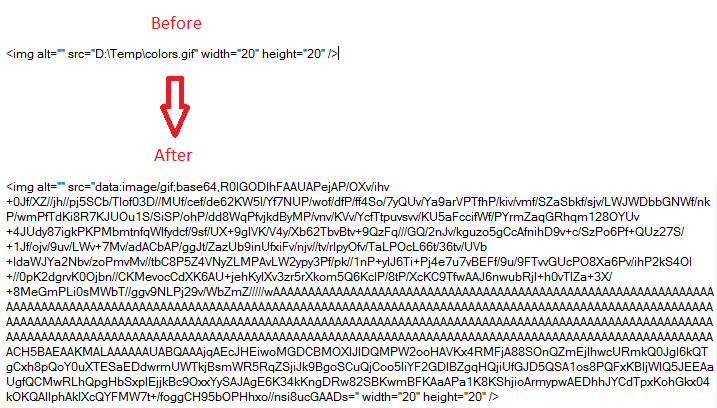 Without using that technique, the base64 images usually wont show up in the email clients.